Get the answers you want, call 1300 892 599 today! Most anyone can apply if you have stable residency and have a minimum cash and / or vehicle to trade totaling $1,000. This includes most pensioners, unemployed families, discharged bankrupts & persons with former poor credit. Externally by traditional lender (Banks, credit unions etc.) & vehicle may be purchased from most sources. 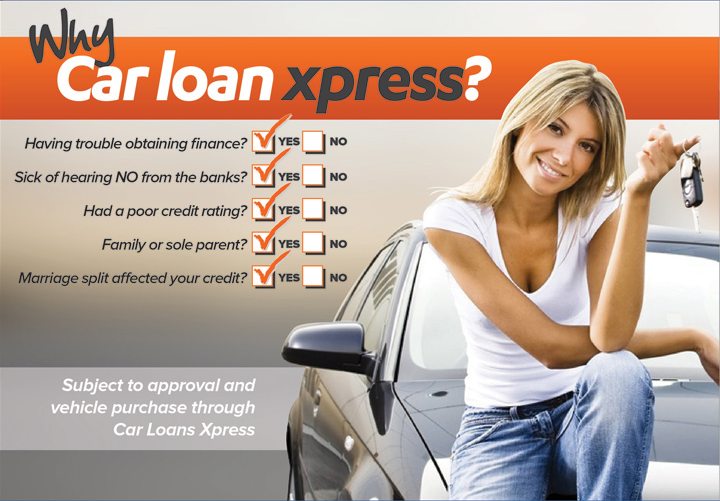 Internally by Car Loan Xpress (generally those not approved by Banks) vehicle must be purchased through Car Loan Xpress. Sick of hearing No from the Banks? Call us Today!